Curious George: A Very Monkey Christmas on DVD Just $4.99! You are here: Home / Great Deals / Amazon Deals / Curious George: A Very Monkey Christmas DVD Just $4.99! 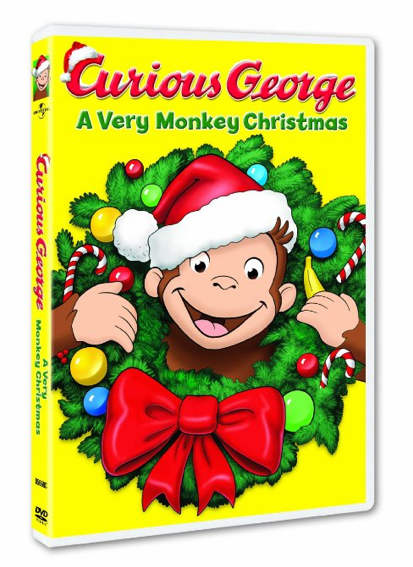 Curious George: A Very Monkey Christmas DVD Just $4.99! If you have a Curious George fan in your house like I do, you’ll want to get over to Amazon and pick up Curious George: A Very Monkey Christmas on DVD for just $4.99 (reg. $14.98)! Super Saver Shipping will be FREE on orders of $35 or more.